Following his sold-out recital debut in Carnegie Hall, Bösendorfer Artist Michael Fennelly regularly performs in the world's great concert halls, including Avery Fisher Hall, Munich’s Prinzregenten Theatre, and Berlin’s Komische Oper. Praised for his “flair and energy” (The New York Times), he has just released his fourth solo album, GRAND TOUR, for Athena Records. Michael Fennelly travels to China this year for concerts in Macau and Beijing, invited to celebrate with Placido Domingo in their gala celebration of a new opera house in Macau and in Beijing. Also this year, he tours the US with his recently completed arrangement of Rhapsody in Blue for chorus, orchestra, and piano, which was left incomplete at the time of Gershwin’s death. He recently appeared with the Buffalo Philharmonic, upon the invitation of music director JoAnn Falletta, to replace an ailing soloist on two days’ notice in the premiere of a new piano concerto by Jerome Moross. Invited by the US State Department to tour of the major cities of Japan playing American music. As a conductor, Michael Fennelly recently made his Carnegie Hall conducting debut leading Lucia di Lammermoor. He has become known for his performances of contemporary opera, conducting the premiers of Arlene Sierra’s Faustine and Eric Salzman’s Big Jim with the Center of Contemporary Opera, and Daphne by Jeff Baker, and Zombie by ??. He has also been invited to assist in productions of La traviata, La Bohème, Elektra, John Musto’s The Inspector, Il barbiere di Siviglia and The Turn of the Screw with Lyric Opera Virginia, Wolftrap Opera, Ash Lawn Opera, Grand Rapids Opera, and assisted Loren Maazel at the Castleton Festival in Virginia. He has recently been named music director of the Global Camerata Vocal Chamber Ensemble, the New York Piano Extravaganza (featuring Michael’s four-piano transcriptions), and the International Wagner Festival. The native Californian made his first concerto appearance at age ten and subsequently performed with many orchestras throughout California, including the Orange County Philharmonic, Palo Alto Chamber Orchestra, Santa Clara Symphony and the South Coast Symphony Orchestra. While still in high school, he was flown to New York as a last-minute replacement for a soloist with the New York Virtuosi Orchestra. Dr. Fennelly recently performed with the legendary Talich Quartet in Shostakovich’s Piano Quintet. On film, he appeared as the young Harry Truman (who trained to become a concert pianist!) for PBS’ American Experience. His performance of Brahms’ First Piano Concerto at the Altenberg Festival in Germany was broadcast on German Public Radio. He was the United States winner of the Horowitz Competition, and had been invited to perform in Moscow Conservatory’s International Chopin Symposium, New York’s Schoenberg Music Festival, Italy’s Wilhelm Kempff Beethoven Seminar, and in master classes under John O’Connor, Richard Goode, and Abbey Simon. Michael Fennelly was a pupil of Dr. Nelita True at the Eastman School of Music. He then studied with Byron Janis and Dr. Marc Silverman at the Manhattan School of Music, where he received the school’s special prize for chamber music and completed his Doctor of Musical Arts degree with a dissertation on Metric Structure. 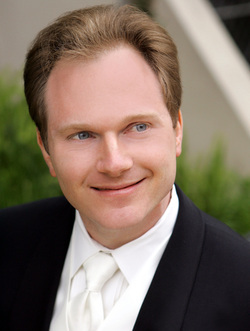 He was a staff pianist and coach for several years with the Juilliard School, and currently works with the Metropolitan Opera, the Opera Index Foundation, and the New York Philharmonic. Rockland Orchestra and Chorale, performed on Ravel’s rare double piano in Paris, toured medieval cities in the south of France and Germany, conducted an art song series in Belgium.